Spring is a mixed blessing on the tow-path. 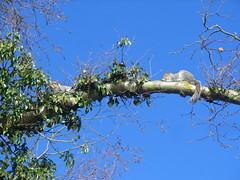 Certainly, there are delights like fresh buds going sproing, frisky squirrels and gangs of ducks chasing each other around, birdsong and soft breezes. There are the willows and alders flushing green and pink, boasty blackbirds buzzing me and grebes and cormorants ducking and diving. But the first warm days also bring out the first of the street drinkers. Not the regulars, either; they know that the February wind is too bitter to mess with and tuck themselves away out of it, as much as they can. But the randoms and newbies roll out into the weak sunshine and blunder around, looking for someone to collapse into, numb with cold and drinks they shouldn't have been sold. You don't want to walk past that on a tow-path. 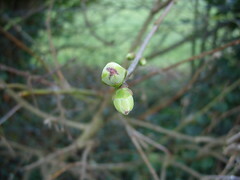 If you can't see the audioboo player there (seems to be cranky) here is a link to birdsong on the tow-path; and here are some lilac buds bursting and a squirrel face-off.